Anti-vandal luminaires that withstand highly forceful impact while nevertheless operating reliably. Screws: tamper-resistant stainless steel, twin hole. Approved for indoor use or in outdoor areas, protected by a roof. For areas endangered by deliberate or accidental destruction. Anti-vandal LED luminaire for surface (wall or ceiling), recessed or corner mounting, in two lengths with lumen output up to 5400lm in two colour temperatures (3000/4000 K). 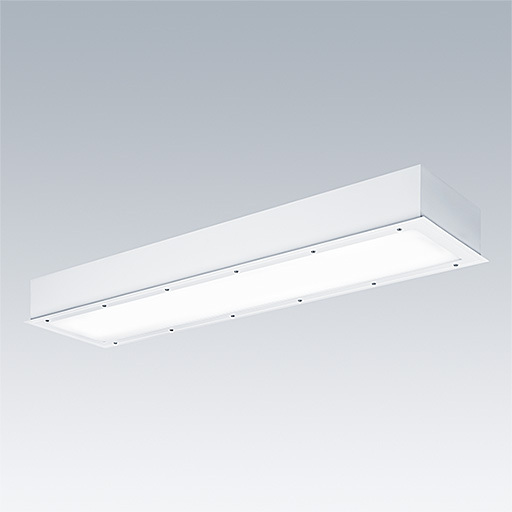 Completely halogen free luminaire with automatic terminal. Emergency and dimming options.